Technology is revolutionising the way we do things. From eating, to paying for items and transportation, your smart mobile device for starters, has become more valuable than your wallet. Technologies of the imagination will soon become innovations of today - it is only a matter of time. We live in a world where there are always ‘better ways of doing things’. The evolution of technology has made many aspects of day-to-day living obsolete. A simple thing like carrying cash to pay for your groceries evolved to debit and credit cards. This advanced to mobile payment methods like scanning codes from your cell phone which is then billed to your bank account. Now, paying for items has become as simple as just placing goods in a trolley and sensors will automatically figure out what you’ve selected and then bill you accordingly-this revolutionary concept has been spearheaded by online retail giant Amazon. Already, South African retailers and Shopping Centres have openly embraced this technological boom. Menlyn Park, a super-regional mall in Pretoria is one of many that has welcomed this evolution. Tech advancements such as dedicated charging stations for electric and hybrid vehicles, license-plate recognition and developing an analytical parking app for mobile devices that will allow users to locate their vehicles are among the many plans Menlyn Park has in the pipeline. The centre does head counts as opposed to foot counts which also tag an individual with a unique number to prevent ‘double-counting. Menlyn Park has installed ‘smart-metering’ systems which ensures accurate and billings that are on time for tenants. General Manager for Menlyn Park Olive Ndebele said that the mall’s tenants too are embracing the change. “Most of our tenants offer online shopping platforms for customers and this also motivates the others to follow suit. Energy efficiency is also important so we have improved our technology with regards to air-conditioning, lifts and escalators. Currently we are in the process of partnering up with Google for further technological advancements,” she said. Amanda Dilima the Retail Leasing Consultant for the V & A Waterfont, Western Cape said that they too are embracing the technological age. “We have recently embarked on an excited project that involves voice guided location screens in the centre which are supplemented by the mobile app. This voice guides the customer to where they wish to go in the mall in real time. The app also provides interesting information to the user about their current location as they navigate to their destination,” she said. Bedford Centre in Bedfordview, Germiston has launched the Johannesburg’s first virtual reality arcade which opened its doors in October 2016. Well established food and consumer goods retailers Pick n’ Pay and Woolworths along clothing retailers The Foschini Group (TFG) and the Mr Price Group have also jumped on the technological train successfully offering online-shopping platforms for consumers. Dion Chang and Sue Morris from Flux Trends agree that technology is paving the way to a retail future that we haven’t even begun to imagine yet. 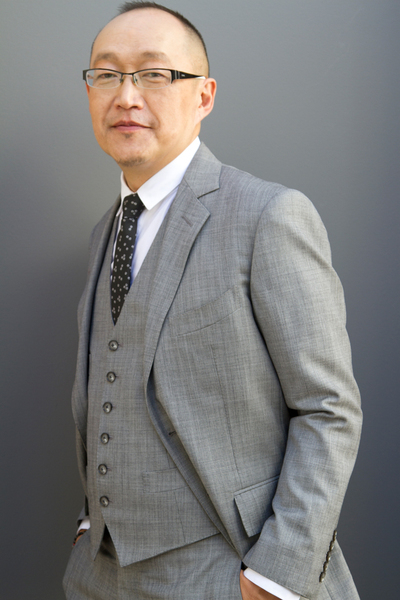 Seasoned trend analyst, editor and master innovator Dion Chang has been at the forefront of trends and innovations not only in South Africa but globally. According to him, 2017 is the year of the drone among other things. He further added that if retailers and brands don’t find themselves among the ones that have evolved, adapted and elevated themselves into the technological spheres and the booming eCommerce realm, they may find themselves on the back foot. “When it comes to technology, drones are definitely as tech as they come. This year, drone technology is going flat-out and will be rolled out more intensively. In Rwanda for example, blood samples are being delivered to hospitals via drone technology. Due to the rough terrain and inaccessibility, the only answer was drone technology. The samples get dropped via parachute to the location. Drone commerce is happening,” he said. Head of the Retail Laboratory at Flux Trends Sue Morris added that drone technology is literally taking retail to the consumer-no matter the location. “Amazon has just applied for a patent to have charging stations on top of street lights to charge their drones. According to the patent, drones will be making deliveries and land on top of the light poles to charge. Amazon is known for applying for many patents and some of them work and some of them don’t. The bottom line is that we are very close to this being a reality in South Africa. Drones are making deliveries already. And we don’t have to look very far, I mean, we have a fantastic drone factory here in Pretoria,” she said. Dion further added that the eCommerce market is growing at a rapid rate and in terms of technology, retailers need to ‘up their online game’ in order to remain relevant. “Customers can now interact with your brand without having to leave their homes. People are more connected than ever. Nowadays, I can search for items on my smartphone or tablet and once I have researched them, I can simply click and purchase the item without having to drive to a store. It is simple, quick and convenient and that is the way shoppers are headed. Retailers everywhere need to offer online facilities for their customers,” he said. Ecommerce has evolved into easy access to information. This allows customers to do comparative analysis on products with the option to purchase online or walk into the nearest retailer with the decision to purchase already made while researching the product on ecommerce platforms. 2016 was the year eCommerce saw huge development. The integration of social media allowed eCommerce to push boundaries and make significant moves forward resulting in a $220 billion growth in 2016 for the United States alone. This year will see more eCommerce integration in apps such as Instagram and Snapchat. Instagram, a photo sharing app, will allow users to swipe a photo to order items of interest. Snapchat, the video sharing and messaging app is taking ecommerce in its stride with new advertising strategies becoming more widely available in 2017. According to Sue, eCommerce is going to be one of the biggest disrupters in SA. “Shoppers are looking at convenience and cost. Ecommerce gives people up-to-date trends and fashion at their fingertips-allowing them to purchase as they see it. In India for example, eCommerce is taken even further-the poorest of the poor are able to have eCommerce deliveries made directly to their cell phone location. That means that you don’t need to have a physical address or structured residential areas to have eCommerce,” she said. Omnichannel, the cross-channel business model that companies use to increase customer experience flourished in 2016. Bridging the gap between physical shopping and online is a huge trend - with Google Local Inventory Ads to show online shoppers product availability in nearby physical stores, it’s clear that retailers are now finding new ways to link both their bricks-and-mortar stores with their ecommerce offerings. Retailers in South Africa have begun to embrace technology. The possibilities that come with technology are endless. 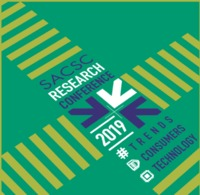 Chief Executive Officer for the South African Council of Shopping Centres (SACSC) Amanda Stops said that there are a number of South African Retailers who have embraced technology in all its forms. “South African retailers are as resilient as they come. Even through tough economic times, many have soldiered on successfully. Now, with the advent and constant advances in technology, South African retailers and shopping centres have begun to explore and maximise this technological surge. It is exciting to see that both retailers and shopping centres have embraced technology. It is not a matter of technology or online stores replacing the physical counterparts but rather how the two can complement each other in a harmonious way. The retailers and shopping centres of the future will be those who get the balance just right and who maximise technology and most importantly understanding the ever changing needs of the customer,” she said.